Meet your millennial S.W.A.T. team. We started Purpose Generation to help companies navigate how our generation consumes, works, invests, and communicates. We leverage the power of community to source meaningful insights from our Tribe and apply design thinking methodologies to develop human-inspired solutions for our clients. We are a team of innovative thinkers who are passionate about creating environments in which our peers will thrive and launching products that they will love. We think like entrepreneurs and will stop at nothing to deliver exceptional results. Meet Alex. Her skill set has more range than Whitney Houston. Alexandra knows how and why things work. That’s why she’s our head of Strategy & Operations. 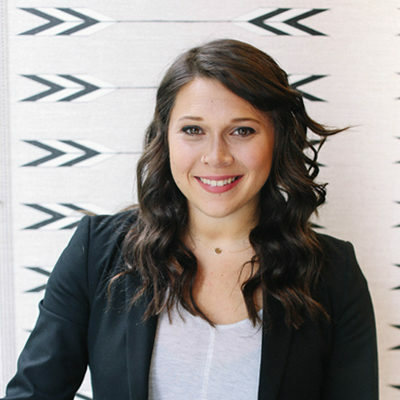 She sets the strategic direction for our clients, matches them with millennial trends and behaviors, and oversees projects to make sure they’re executed flawlessly. Imagine if the algorithm that matched you on OKCupid chaperoned your date to make sure it went smoothly and then followed up to make a game plan for the second date. That’s Alex. 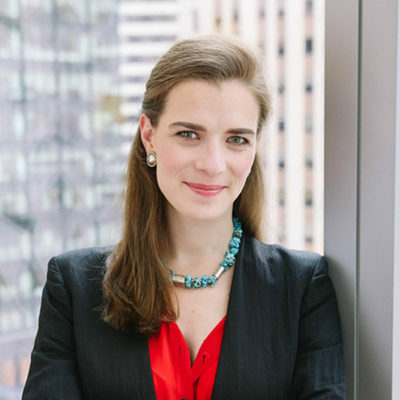 Groundwork: She helped prepare big companies to make big decisions at Bain & Company, became an expert on fundraising models at Acumen Fund, analyzed charts at ING and publicized art at Sotheby’s -- so she’s got a lot of bases covered. Add a degree in international relations from Princeton and Alex is basically our little Swiss army knife, except she’s Dutch, but we love her all the same. While the rest of us... sing in the shower, Alexandra starred as Snow White in a nationally-televised song contest in the Netherlands. We’ll just wait over here with all the other Dopeys. Outside the office: Alex writes for the Huffington Post about making the career jump from corporate climber to startup grinder. She has a never-ending bucket list of must-visit destinations, restaurants, and exercise classes, and (not so) secretly dreams of one day opening up her own wine and cheese shop. Meet Nellie. She’s got more moves than Jagger. Nellie doesn’t just think outside the box, she reconstructs the concept of the box to make it a million times better. She is our creative catalyst who has never met a project she didn't like. 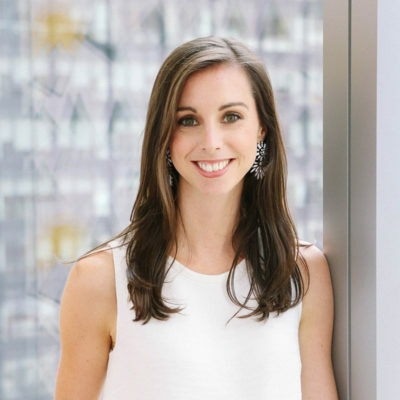 Known to throw innovative curveballs at millennial challenges, Nellie cultivates relationships with new and existing clients to help bring bold ideas to life. Groundwork: She helped launch the world’s first regulated social stock market in South Africa and advised wealth management firms on integrating impact into their practice. 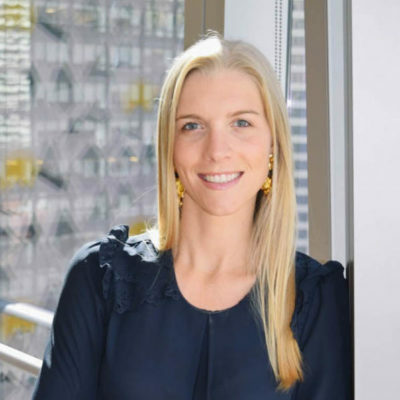 Don’t let the blonde hair fool you, Nellie grew up in Dubai, speaks Arabic, graduated from Princeton with a degree in Near Eastern studies, and is co-chair of the board of Circle of Women. And no, Purpose Generation is not her cover story... although how cool would that be?! While the rest of us...watch mediocre rom-coms on long flights, Nellie was chosen as one of 100 innovators to participate in British Airways’ “UNGROUNDED: Innovation Lab in the Sky,” a high-altitude incubator flying from San Francisco to London focused on developing strategies for leveraging tech talent to address global issues. Outside the office: When her mind isn’t running full speed, Nellie can be found revving the gas on her Vespa a.k.a Mr. DJ, complete with a built-in subwoofer to keep the beats building. Meet Logan. She’s more connected than your WiFi. To pull off the name Logan as a woman, you have got to be a boss. And that’s exactly what she is. Logan is our pulse-checker. Our tracker. In our proverbial game of Quidditch, Logan is our Seeker. That’s why she heads Millennial Relations and Content at Purpose Generation. She has a passion for bringing people together around shared interests, building and sustaining relationships with key millennial networks, and sharing stories that people care about. Groundwork: She worked with elite investor network TIGER 21 and helped build a boutique wealth management firm. So she’s not just super smart, but also super classy. While the rest of us...try to stay out of prison, Logan once snuck into a Bolivian prison to film a short documentary about women raising children behind bars. Outside the office: She lives in New York City with her husband and daughter, and can be found in Central Park every morning with her labradoodle, Pippa. Meet Julia. She’s more likeable than your selfies. With the detailed passion of Child, approachable charm of Roberts, relentless focus (and dance moves) of Stiles, and quick wit of Louis-Dreyfus -- Julia Mazerov is the full package. As our Senior Strategist and Client Relations Manager, Julia earns the unwavering trust of our clients every day. She’s an execution specialist, which luckily means something totally different than it would have a couple hundred years ago; but when it comes to her ad game and communications experience, she’s just as dangerous. Groundwork: Julia made her rounds on the Mad Men circuit as an account executive for Butler, Shine, Stern & Partners, with all the hustle but without all the lunchtime booze. Having worked on accounts like Blue Shield of California, Honest Tea, ZICO Coconut Water, Benefit Cosmetics and Columbia Sportswear, along with a degree in advertising from the S.I. Newhouse School of Public Communications at Syracuse, Julia Mazerov is a tagline in the making. While the rest of us...stay grounded, Julia has gone bungee jumping and skydiving in the same afternoon. Outside the office: Julia makes up for over twenty years of east coast winters by getting outside. All the time. Activities that take over her Instagram include biking, boating, parking, beaching, or hiking, all usually with someone else’s dog. Meet Will. He’s fresher than the Fresh Prince of Bel Air. He’d never bring it up at dinner parties, but Will is an award-winning producer and director, hell-bent on storytelling that captures every type of audience. As our Creative Consultant, he’s a natural at taking an idea and making it a vision, all the while totally getting jiggy with it. 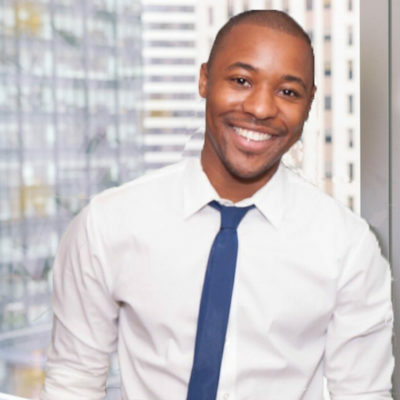 Groundwork: He has produced videos for networks including BBC, ESPN, TNT, and Funny or Die, and his short films have premiered at The Tribeca Film Festival and South By Southwest. Plus he’s British, so even when he delivers bad news, it sounds freaking amazing. He produced the SONY Award winning “Tim Westwood Drivetime Show”, sourced comedy talent and developed viral web content for BBC. Will received a Hollywood Foreign Press Award and the BAFTA LA Scholarship two years in a row while pursuing his MFA in Filmmaking from the NYU Tisch School of the Arts, where he graduated as a Dean’s fellow. And now he’s our fellow. While the rest of us...listen to the Top 40, Will produced a music video for P. Diddy. Jury’s still out on whether or not our White Party invitation got lost in the mail. Outside of the office: When he's not making movie magic (or saving the world from alien invasions), Will has been known to dabble in stand-up comedy. So don’t just stand there, say something. Trending topics for the dinner table or board room.